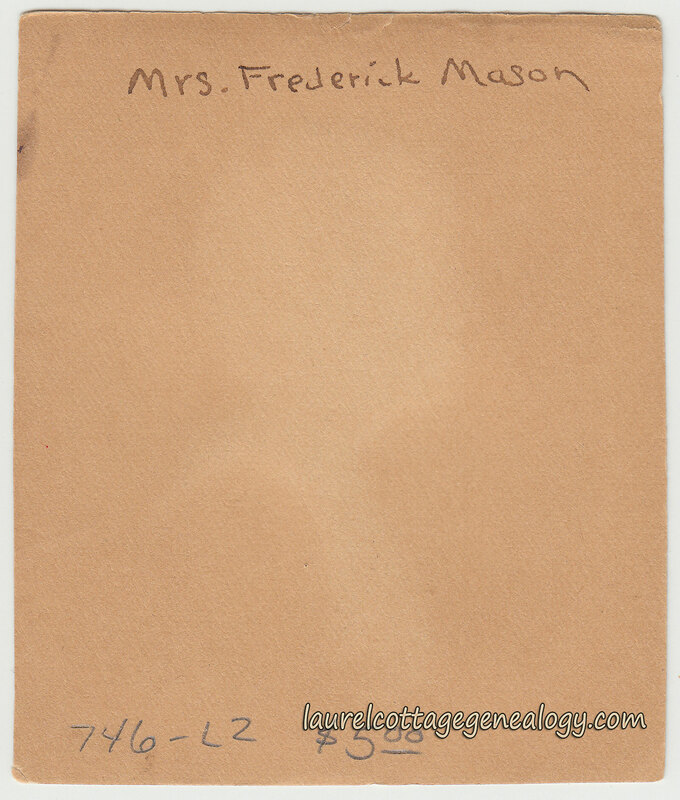 A beautiful little silhouette of a Mrs. Frederick Mason done in 1935. 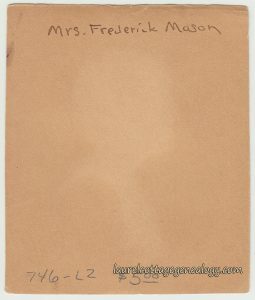 The signature of the “scissor artist” appears to be F. Castelhun, but we couldn’t find any reference to an artist by this name, or under the possible name of Castelton. 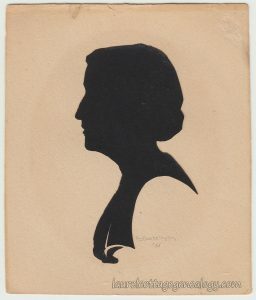 Note the faint oval outline surrounding the figure, indicating that this elegant piece was once in a frame.